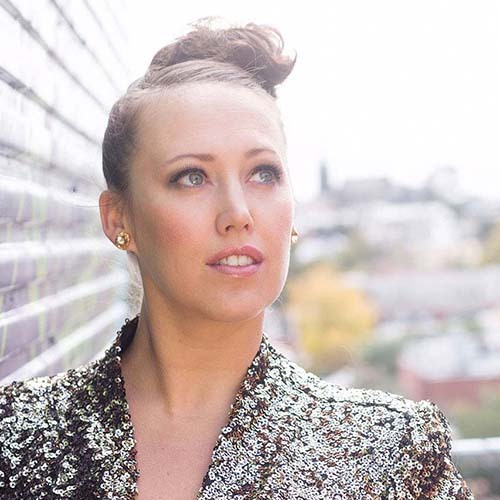 South African born & bred vocalist and violinist, Fem Belling has exploded onto the Melbourne Jazz scene and is emerging as one of Australia's formidable and exciting new jazz performers. Her African Jazz and theatre roots augment her unique musicality, choices and interpretations. A breathtaking storyteller through music. Coming from a musical family, Fem has music in her blood. She has performed with many jazz greats, locally and internationally. Appearing with her own band, collaborations & residencies at Ronnie Scotts (Ldn) ,Bennett’s Lane, WOMADelaide, Noosa Jazz Fest, Melbourne International Jazz Festival, Stonnington Jazz Festival, Joy of Jazz SA, Madajazzcar. Acclaimed for her self-written Blossom Dearie show and Sarah Vaughan tribute, she creates magic between music, the stage and the audience. Fem is also the resident host of the Melbourne International Jazz Festival’s In Conversation series. 5 Vita awards under her belt, Green Room Award nomination for Best Leading Actress in a Musical “Genesis to Broadway”. An award winning actress she has performed for Her Majesty the Queen at the Royal Variety and has spent many years as a leading lady in London's West End. Lead roles include Hairspray, Fame, Footloose and Cats & Liza Minnelli in the most recent production of THE BOY FROM OZ.